I always love biographies, particularly free ones from BookSneeze. 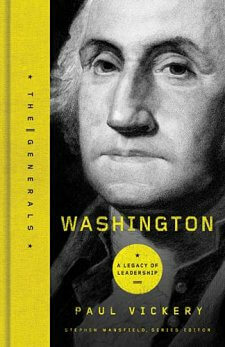 Washington, in ‘The Generals’ series, tells of Washington’s story, beginning with his ascent to military leadership and ending with his return to Mount Vernon after two terms as president of the United States. This book was a refreshing read, and I was able to take an up-close look at George Washington as he lived and breathed for his goals: the Army and the Union. Everyone learns in school how George Washington is the father of our country, but I guess I have never realized this until I have read this book and started to research more about Washington. His main goals can be condensed into two words: the Army and the Union. These two phases of his life are the parts which had the greatest impact on the United States and on us today, giving him the well-deserved title of Father of our Country. Washington was truly the only leader that could have led the United States through the Revolutionary War. This book exposes his constant troubles with keeping his men fed and clothed, and his haggling with Congress for better supplies and pay for the men. It highlights his heroic acts, many of which literally turned entire battles around as he rallied his men. 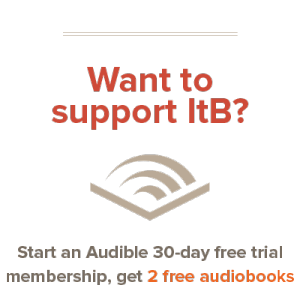 The book takes us from just before Washington’s ascent to commander of the army, after briefly covering his early life, and then brings us through the entire Revolutionary War. We then move on to Washington’s short time at Mount Vernon, during which he became increasingly frustrated with the loose Confederation of States and the Continental Congress. Eventually, as Congress reconvened to discuss a new constitution, Washington helped to guide the assembly and shape much of what we still use today. One of his main concerns was the army: in the ten years between the war and the Constitution’s drafting, the USA standing army had been allowed to deteriorate. When the delegates voted for Washington as president unanimously, he accepted. In a way, his task in shaping the thirteen states into a unified union was similar to the task he had faced a decade earlier with shaping state militias into a unified, trained army. I enjoyed reading this book on Washington’s role in the early years of our country. Of course, I always enjoy biographies, but this book just told it like it was – it showed Washington in the day-to-day struggles of the early days, without going into minute detail or being boring. It strikes the perfect balance between detail and interest, and I found the read very enjoyable. I recommend this book to anyone, particularly history buffs or biography lovers.